Following the update to builds, trigger conditions are now available in all actions. This means you can skip actions if they don’t fulfil certain requirements. Trigger conditions are not available in deployment actions based on changesets (FTP, FTPS & SFTP). 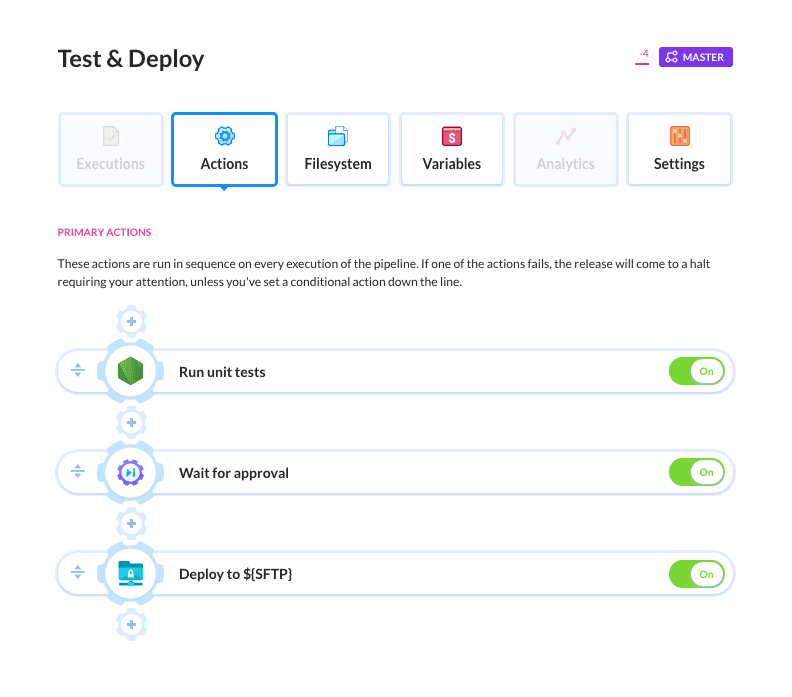 Let’s assume you have a Node.js project with a pipeline that tests your app and deploys it to one of the test servers on push. However, you don’t want the deploy to auto-execute if there are changes to the /assets folder because you need to review them manually. 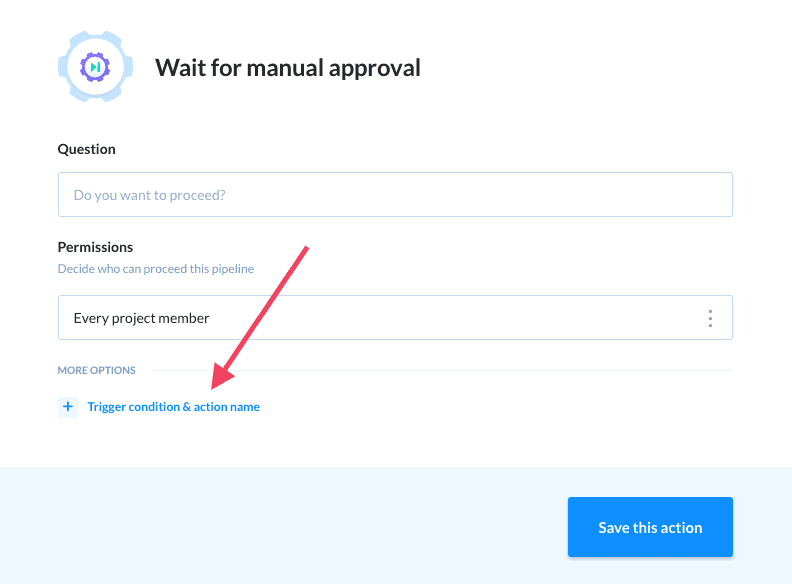 Once applied, Buddy will skip this action and automatically run the deploy – unless there are changes to the /assets folder. 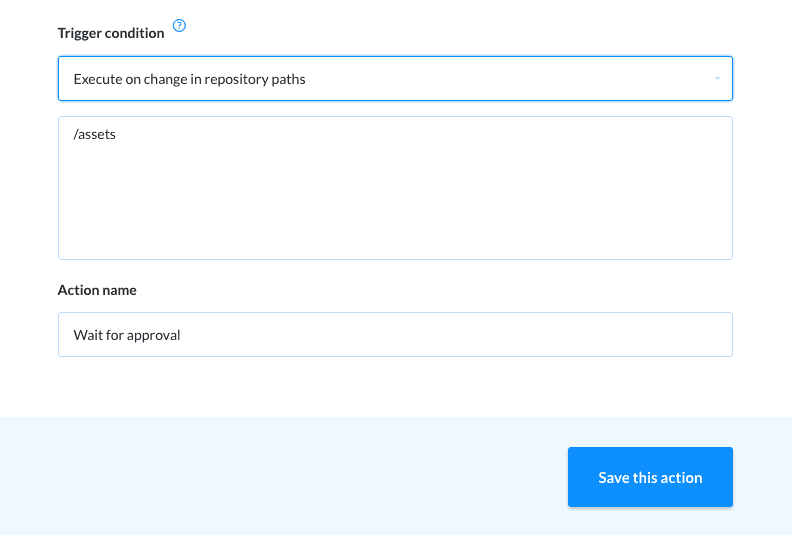 You can learn more about optimizing your deployment practices in this guide.